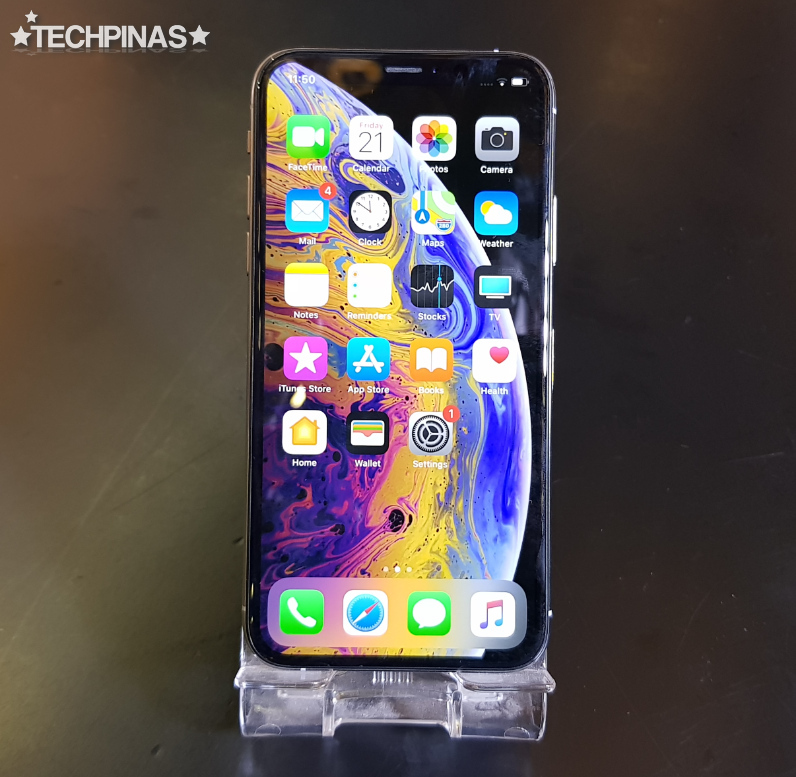 On Friday - September 21, 2018, our friends from Manila Bulletin Tech News Team invited me as well as my friends in the blogging industry to be the first group to unbox the all-new Apple iPhone XS and Apple iPhone XS Max here in the Philippines. I'd like to thank our good friends, Sir Art Samaniego, April, Jon, Karina, Lionell, and the rest of the MB Tech squad for always supporting bloggers and for giving us opportunities to become better in our profession. 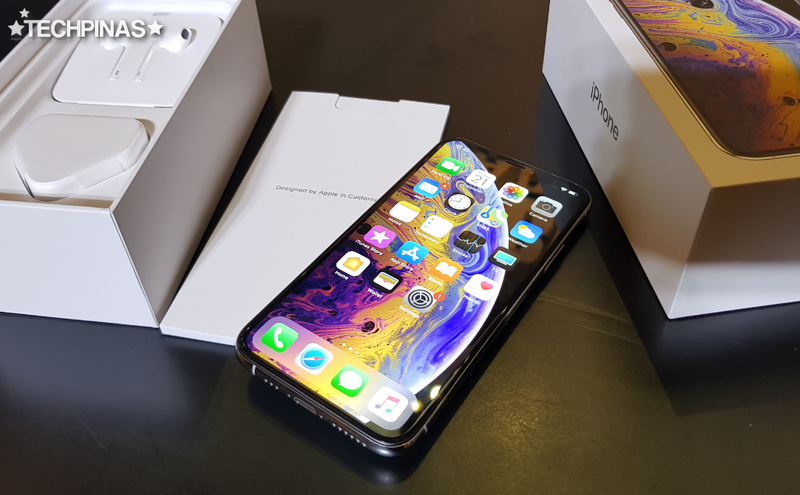 Last year, Manila Bulletin and Smart Communications also invited me to unbox the first ever Apple iPhone X unit in the Philippines -- and it's an experience that I will always remember. Again, thanks to Manila Bulletin and Smart for the continued support. 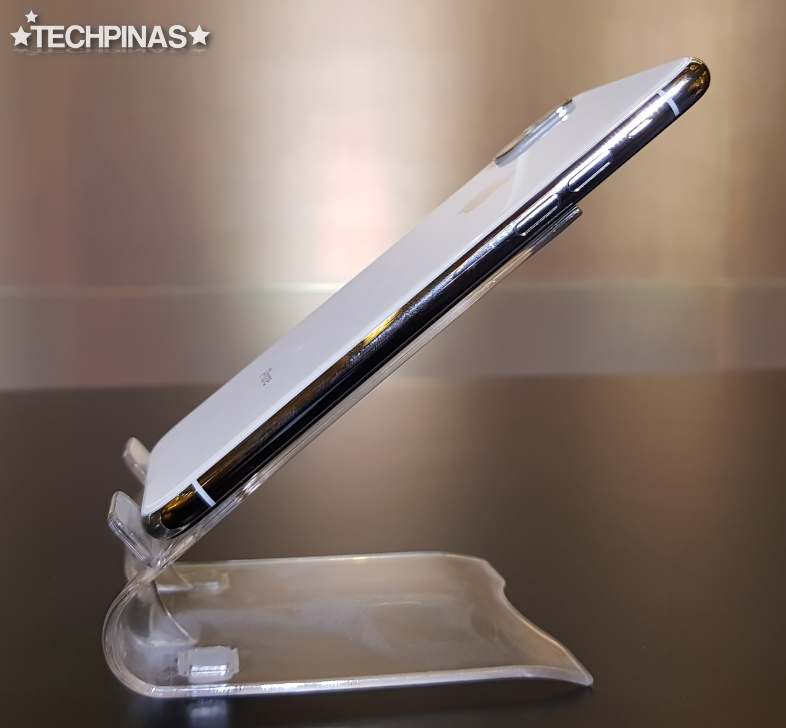 For those who missed Manila Bulletin's Facebook Live video of the #SmartiPhoneXS Unboxing with Filipino Bloggers, allow me to share with you some photos of the device's packaging and accessories. The white box of the Apple iPhone XS looks largely the same as that of previous iPhone models. The face of the handset inside is printed on the cover and you'll find the familiar Apple logo and 'iPhone' branding on the sides of the case. Lifting the cover, we are greeted by the sleeve containing product documentation among other items. When we remove that, we see the handset itself, which sits above all the peripherals included in the pack. 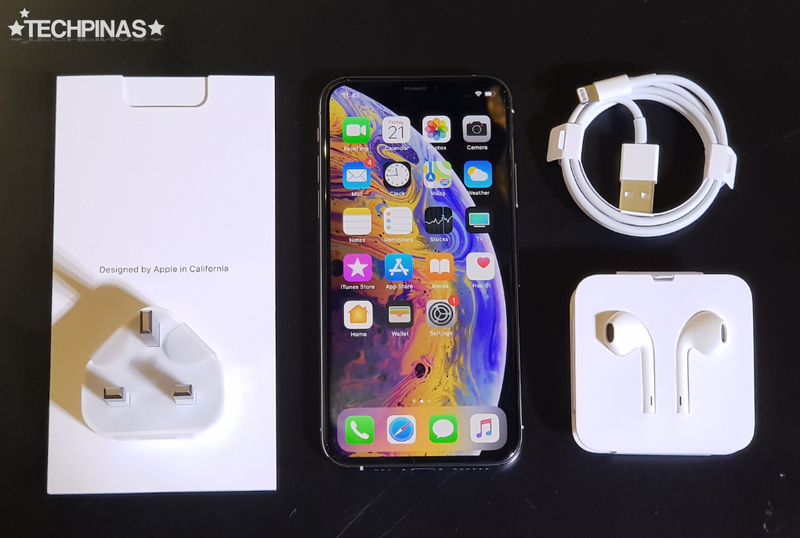 The official retail page, as expect, is similar to that of the Apple iPhone X; We still get the unit itself - of course, the travel charger, the USB to Lightning Port connector cable, the headset, and the items inside the paper sleeve. At first, I thought that Apple had included Airpods in the box because of how the earphones looked in their paper container -- but unraveling it, well, it's still wired. 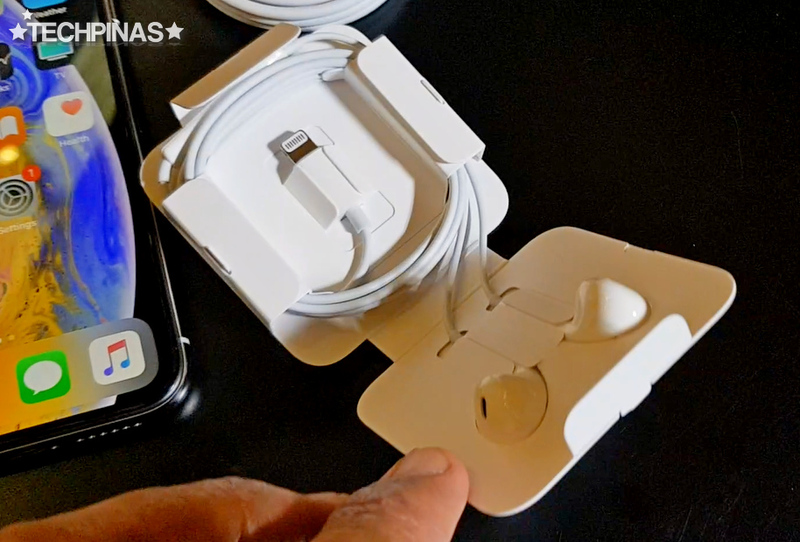 The big surprise here, though, is that unlike the earphones that were included in the Apple iPhone X package, Apple iPhone XS' headset already has a Lightning Port plug, no need for an adapter. So if you'll need that adapter, you'll just have to buy it separately. 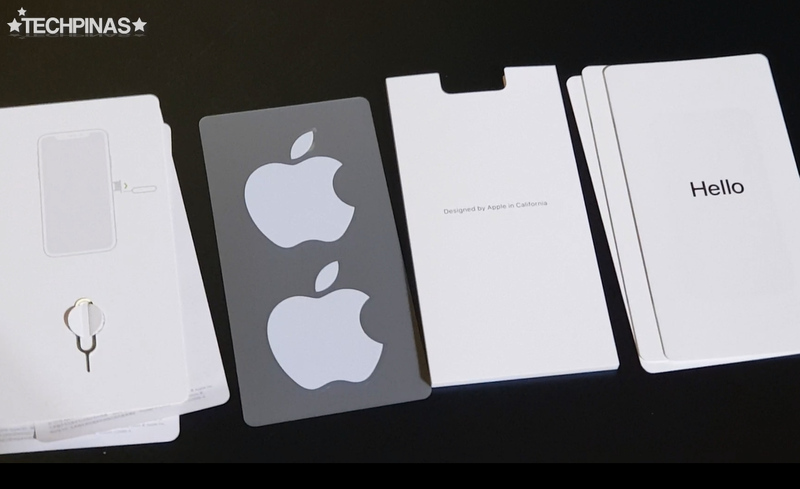 The documentation sleeve contains all the usual items, including the quick user guide, SIM card tray ejector pin, warranty information sheet, and the two Apple stickers. 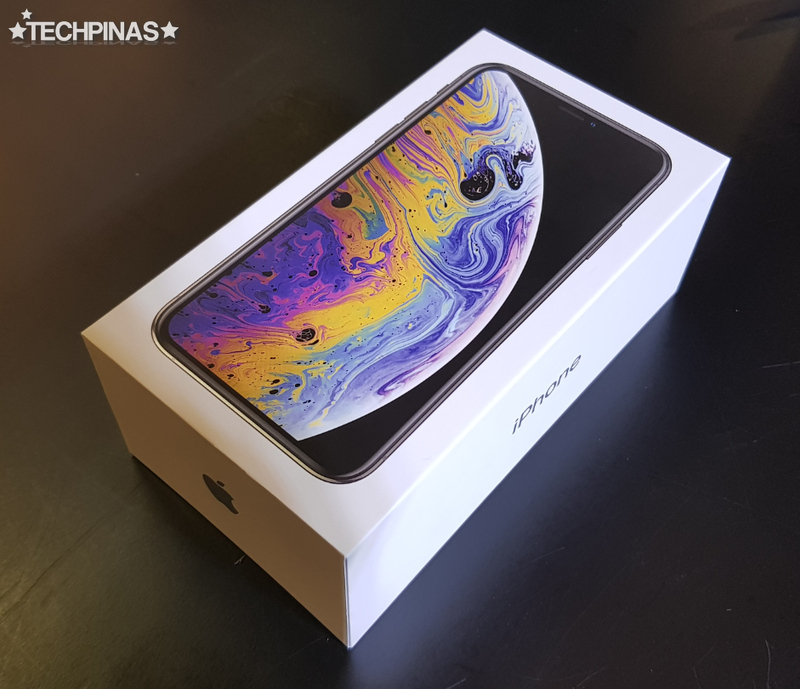 Now, let's take a closer look at the Apple iPhone XS unit itself! As you can see in these actual photos of the model, Apple iPhone XS' design and build are exactly the same as its predecessor from 2017. 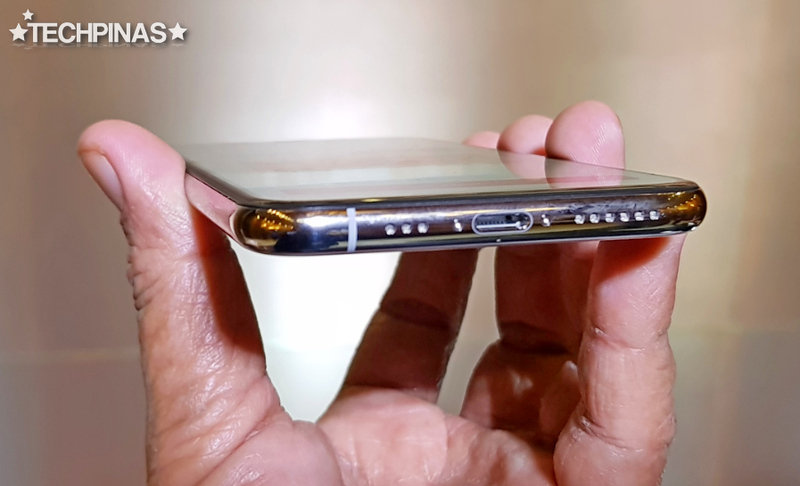 The device still flaunts a polished stainless steel mid-frame sandwiched by two sheets of 2.5D curved glass panels, rectangular footprint with rounded corners, and an oblong camera module at the back. Perhaps, that's the reason why the Cupertino company had opted to discontinue the Apple iPhone X. It's almost one and the same as its successor in terms of looks. Heck, even their notched screens are near identical. The two share the same 5.8-inch 1125 x 2436 pixels AMOLED display with tall 19.5:9 Aspect Ratio -- but it is said that the Apple iPhone XS' panel is a tad more brilliant. The same thing can be said about the new model's cameras. Like the iPhone X, this one has a 12 MP f/1.8 OIS + 12MP f/2.4 OIS Dual Camera combo that enables 2X lossless zoom and Portrait Mode with virtual Bokeh Effect. In front, it has a 7 MegaPixel f/2.2 TrueDepth Camera for clear selfies; The handset's Face ID facial recognition software is also integrated into this snapper. So how exactly is the Apple iPhone XS different from its look-alike Apple iPhone X? Well, the 2018 release has a more powerful set of internal hardware. Apple iPhone XS is powered by the all-new Hexa-Core Apple A12 Bionic processor that incorporates Neural Engine, which is the Cupertino company's own version of AI technology that also gives it better imaging performance since the cameras are now "smarter", resulting in better color replication for most subjects and even more visually pleasing bokeh and lighting effects for portraits. Also, a Quad Core Apple GPU is integrated into the chipset and this lets the iPhone XS deliver an even smoother gaming performance compared to the already beastly Apple iPhone X. On top of all that, Apple iPhone XS has more RAM at 4GB for smoother multitasking experience and comes with larger internal storage, maxing out at a whopping 512GB, which is great for users who love to shoot 4K videos and slo-mo FullHD clips for their vlogs or even semi-professional projects. Oh and since the handset's Apple A12 processor is more energy-efficient, Apple iPhone XS is expected to also deliver a longer uptime compared to the 2017 iPhone X -- if a bit. Apple iPhone XS, which is available in three classic colors - namely, Gold, Silver, and Space Grey, will be released in key markets around the globe on October 26, 2018 with official suggested retail price starting at $999 USD for the 64GB variant. The 256GB version will go for $1149 USB while the 512GB model will sell for $1349 USD. 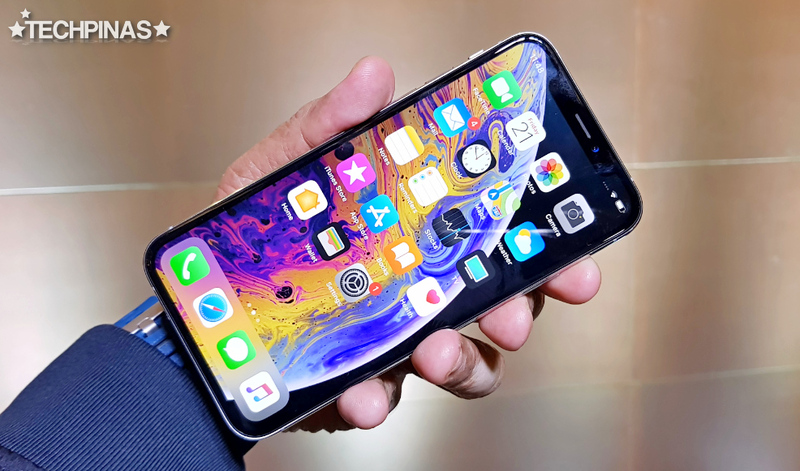 As of writing, Smart Communications has yet to disclose their postpaid plan bundles for the Apple iPhone XS. Personally, though, I am expected the plans to be more or less similar to what the MVP-company currently offers for the Apple iPhone X. Stay tuned for updates! 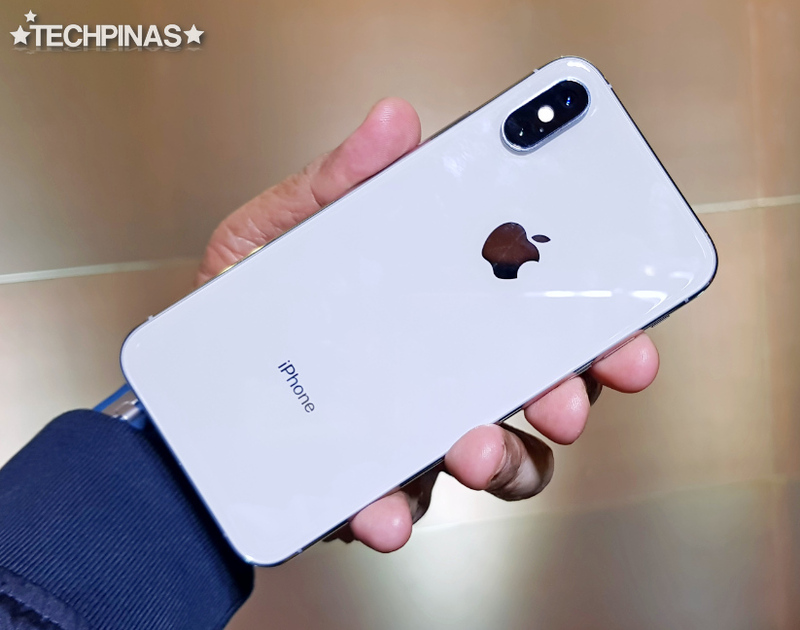 Update as of October 2018: Apple has just announced the official suggested retail prices of all the Apple iPhone XS variants in the Philippines: PHP 67,990 for the 64GB, PHP 77,490 for the 256GB, and PHP 90,490 for the 512GB version.